As a small business, what’s your end goal? It’s probably the same as any other business: to make more money and to keep growing. And to keep your business expanding and to keep revenue increasing, you need to generate as many leads as possible, right? Not just any leads, but quality leads that have a better chance of converting than leads of people who are just mildly interested in your service or product. This can be challenging. According to Business 2 Community, the most pressing challenge for businesses is acquiring new leads. And to achieve the goal of running a profitable business, you have to build a strong pipeline by generating a steady supply of new, high-quality leads. Consumers today are savvy to many of the traditional marketing methods out there, so the process of actually capturing a quality lead – and following it through to a conversion – can keep your marketing team on their toes. To capture the interest of potential customers, you’ll want to create a funnel that piques their interest right off the bat and entices them to close the deal. A great way to grow your list of targeted leads through email is to have an irresistible offering, and then give it away in exchange for a person’s email address. This bribe – or free offer – is ideally something you know your target audience wants. It can be a solution to a common problem they have or anything they find valuable like a toolkit of resources. Without a lead magnet, up to 95% of first-time viewers won’t buy your product or services. But, with one, you can capture up to 40% of these first-time visitors. This swipe file generated 35,859 leads in only 60 days. So, how do you make a strong lead magnet that will attract the right audience and skyrocket your sales? There are two things to keep in mind when creating your lead magnet: is it specific and is it valuable? A specific lead magnet means you have a definite problem with a specific solution for your target audience. 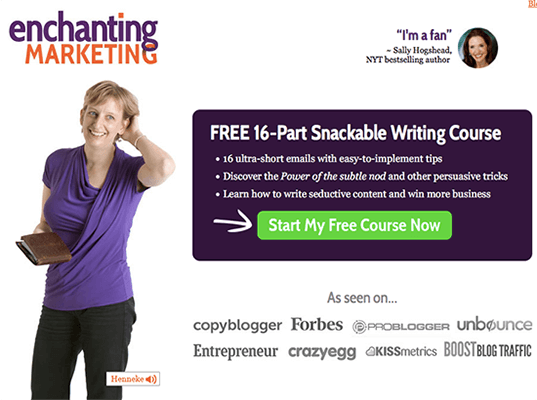 For example, Henneke Duistermaat, a copywriter and marketer, attracts readers to her site by offering an easy to digest email course to improve your writing. A strong lead magnet is also highly valuable. Value can come in the form of what your lead magnet is (an email course) and the amount of content you provide (i.e. 300 page eBook). 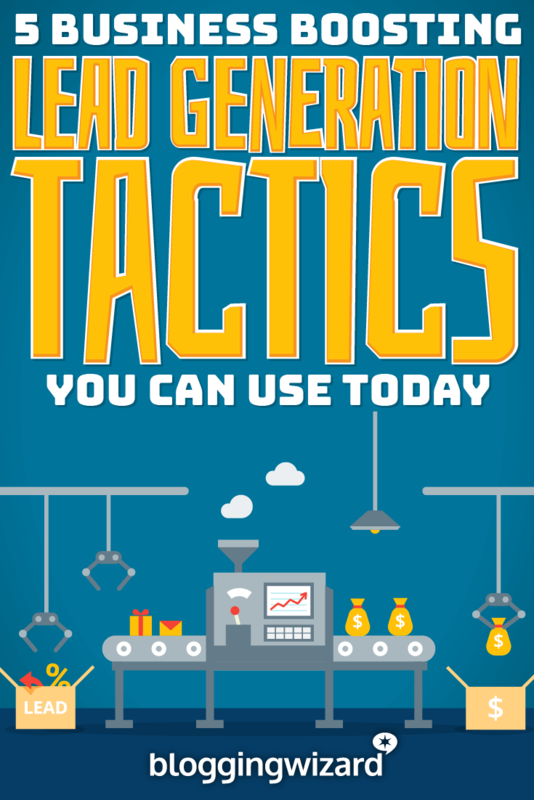 Using a lead capture and landing page generator like Leadpages (aff) or Thrive Leads (aff) makes it a cinch to create your perfect lead magnet. Need more lead magnet ideas? Check out Alee’s post over at Funnel Overload for 30+ ideas you can use. A content upgrade is a lead magnet found within your content. It’s post specific and because readers have already shown an interest in your post – they are reading it after all – the conversion rates can be quite astonishing. There’s no rule saying you can only have one lead magnet on your site – so take full advantage of content upgrades whenever you can. If you want to build your email list faster for your business, a content upgrade will help you do that. For example, Brian Harris of VideoFruit typically sees 20-30% opt-in rates – and he’s had some as high as 62% – by using content upgrades. Brian Dean of BackLinko says having a content upgrade within your post can turn your conversion rate from .54% to 4.82%. Compare this to 6% for a popup on your site (which is still good, though! But content upgrades are much more effective overall). Why do these work better than your typical opt-in form? The main reason this works better than other lead magnets is because you already know what your audience craves. For example, you have a blog post about better ways to build a profitable blog. You create a content upgrade that lists 72 ways to make a profit from your blog. You know people who are reading that post are more likely to opt-in to grab that free list than if they read a post on better ways to brand your blog. So, your content upgrade is relevant to the blog post it’s placed in. It’s there to enhance, add more value and compliment your blog post. If your business site is on WordPress, you can create these content upgrades easily with a plugin. Colin’s post on content upgrade tools & plugins will show you how to get started. Using a Welcome Mat on your landing page can double or triple your conversion rate, according to users of Sumo’s Welcome Mat. Welcome Mat and similar lead magnets are a full-screen takeover that rolls out when a user lands on a site. To bypass this, you just keep on scrolling, hit the no button or you opt-in. What’s nice about using a Welcome Mat like this is you can offer specific lead magnets for specific pages on your site. So, if you look at five of your most visited pages, you can use a Welcome Mat to capture more emails and gain more conversions. Why do these full-screen mats work so well? It fills the screen and it’s triggered on page load. It’s also great as a banner blindness deterrent since you can’t possibly miss this huge call-to-action (CTA). Thrive has their own version for the Thrive Leads plugin (aff) called Scroll Mat which works in a similar way to Sumo’s Welcome Mat. 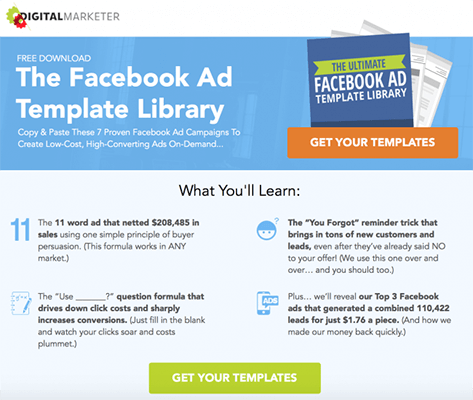 The most effective type of these full-screen mats is one with a powerful headline, striking images, and a strong CTA. And if you think bloggers are the only ones using a Welcome Mat, businesses are too. Take a look at MaidNHouston. 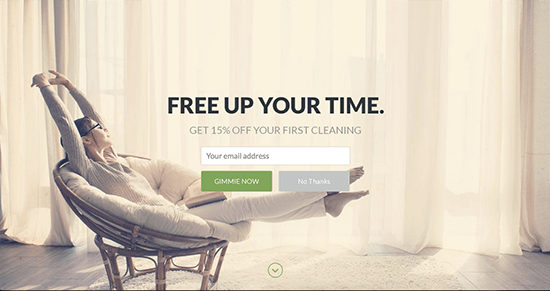 This cleaning service is using a Welcome Mat not only to gain new email subscribers but to generate more leads with their 15% off coupon. Be careful when using Welcome Mat’s & Scroll Mat’s. There’s no doubt that they convert very well, but they’re also one of the most aggressive forms of popover. It’s good for the growth of your email list, but some people won’t like it. In some cases, a traditional popover using exit intent may be the best way to go. To learn more, check out our article on the best popup plugins for WordPress. 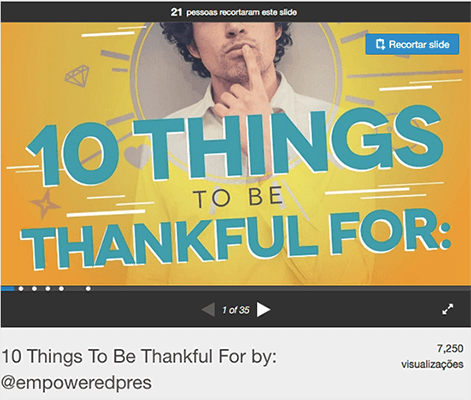 If you have a blog or newsletter, you can use old content and repurpose it into a SlideShare. With SlideShare reaching over 70 million unique visitors a month, you can feel confident your content is getting in front of a large audience. This is a visual presentation of your content and can act as a great lead generation tool. To generate more leads, you can link to your landing page in the SlideShare presentation, the description and in your profile. For example, SlideShare is second biggest referral traffic source for Ana Hoffman of Traffic Generation Café. Use the right software – You can use PowerPoint, Keynote (for Mac) or OpenOffice to create your presentation. Find the right topic for your presentation – Typically you want to use a popular blog post or piece of content that resonated with your target audience. You can also explore hot topics in your niche and leverage that for more lead captures. Condense information into a concise outline – SlideShares are mostly visual with concise Take your content and create a bullet list summarizing your main points. Use the right images – Images can make all the difference for your SlideShare. You can use creative commons licensing images from places like Pixabay or Unsplash. Or, use your own photos. Webinars are a great tool to generate a bigger list and capture many more leads. But, only 42% of B2C marketers even use webinars in their marketing bag of tricks. They’re popular with many users and are often advertised all over social media. A webinar is a live seminar you often co-host with another person in your niche. When used as a lead-gen tactic, webinars are typically free to attend and offer many benefits to help boost your marketing plan. You can reach a larger audience – When you collaborate with another entrepreneur or blogger, you can leverage their reputation and email list to grow your own In one hour, you can have hundreds of new potential leads. Webinars grow your revenue – The great thing about webinars is you can pitch your products and services to an interested audience. Since webinars are registration-gated (need to use their email address to gain access to the webinar) you know they are somewhat interested in your pitch offer. They establish your brand and expertise – Webinars are live events, which means the presenter is not only representing the brand of the business but also has to show their expert knowledge in the industry. Webinars can aid in your content marketing plan – Webinars can be repurposed into a series of blog posts, an eBook, or you can just offer a replay of the live event. Additionally, use any questions or feedback from the webinar for future posts ideas or more webinars. Webinars are highly effective. Mariah Coz of Femtrepreneur uses webinars to grow her list, introduce new products and generate hundreds of thousands of dollars from the power of webinars as a lead generation tool. To start hosting your own webinars, all you need is an idea that you know will resonate with your audience and a platform like Google Hangouts on Air (free) or GoToWebinar. Want to learn more? 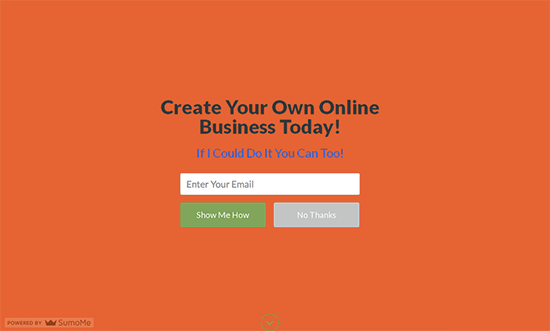 Check out my post on how to grow your email list like wildfire using webinars. Generating high-quality leads is something every business – big or small – needs to be successful. 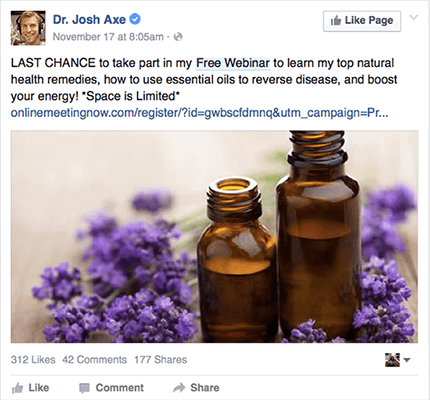 Finding what works to generate leads can be a lot of trial and error. To ensure you’re on the right foot, have a strong lead magnet to attract the right audience. Use other forms or lead magnets like a content upgrade and a Welcome Mat to further optimize your marketing efforts. Finally, invest time in creating SlideShares and webinars to grow your email list and expand your brand. Elna Cain is a freelance writer who offers ghostwriting, copywriting and blogging services. She works closely with B2C and B2B businesses providing digital marketing content that gains social media attention and increases their search engine visibility. Check out her new free email course for bloggers and writers, Get Paid to Write Online.